Breaking from longstanding tradition, President Donald Trump’s budget proposal, if enacted, would eliminate many service programs started under Presidents John F. Kennedy an Richard Nixon. The programs include Corporation for National and Community Service, and with it, AmeriCorps, Senior Corps and Volunteers in Service to America, one of Kennedy’s first national service programs, reports Erica Green of The New York Times. "He would zero out a popular loan-forgiveness program for graduates who choose public-service jobs [in rural areas], and he would cut the Peace Corps by 15 percent," Green reports. "The cuts would extend to other programs that encourage young Americans to teach in at-risk schools, become police officers or take careers in social work." President Franklin D. Roosevelt and Congress created the Civilian Conservation Corps, which helped the country recover from the Great Depression, and each president since, regardless of political affiliation, has used service programs to encourage citizens to help tackle problems like poverty and housing and disaster relief. The programs also offer young people experience and create jobs. Kennedy founded the Peace Corps for service abroad, and VISTA for those wishing to serve at home. Trump’s tax and spending blueprint for the next fiscal year, which begins in October, is a departure from a nearly century-old tradition of layering service programs on existing service programs. The proposed cut to the Peace Corps would be the largest the agency has seen in 40 years, according to National Peace Corps Association. "The Trump administration has said the proposals are part of the larger effort to balance the nation’s budget, emphasize national security and spend taxpayer dollars on programs that are efficient and effective," Green notes, adding that the proposal is almost certain to face bipartisan opposition. President Trump’s budget proposal calls for saving $10 million next year by selling wild horses captured throughout the West and eliminating the requirement that buyers guarantee the animals won’t be resold for slaughter. "Wild-horse advocates say the change would gut nearly a half-century of protection for wild horses—an icon of the American West—and could send thousands of free-roaming mustangs to foreign slaughterhouses for processing as food," The Associated Press reports. They say the Trump administration is kowtowing to livestock interests who don’t want the region’s estimated 59,000 mustangs competing for precious forage across more than 40,000 square miles of rangeland in 10 states managed by the U.S. Bureau of Land Management." The National Cattlemen’s Beef Association and other interest groups have long urged the BLM to allow sales of wild horses for slaughter to make room in overcrowded corrals for the capture of more animals. The BLM rounded up more than 7,000 horses in 2012, but only about 3,000 in each of the past two years, due primarily to budget constraints. As of March, the agency estimated that more than half of the horses, about 34,780, roaming the range were in Nevada. An additional 13,191 burros were on the range, with about half in Arizona. The BLM says U.S. rangeland can sustain fewer than 27,000 horses and burros. The administration anticipates the $10 million savings would come through a reduction in the cost of containing and feeding the horses. 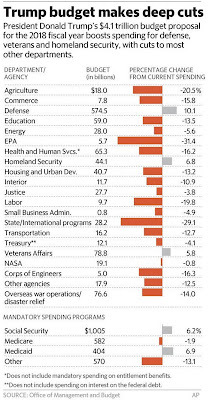 Savings would also include cutbacks involving roundups and contraception programs, AP reports. Horse slaughterhouses are currently prohibited in the U.S. but legal in many other countries, including Canada, Mexico and parts of Europe. Suzanne Roy, executive director of the American Wild Horse Campaign, said the plan could put the horses on the brink of extinction. "America can’t be great if these national symbols of freedom are destroyed," she said. Agriculture Secretary Sonny Perdue struggled to defend President Trump's budget cuts for the Department of Agriculture while testifying before the House Agriculture Appropriations Subcommittee Wednesday, Jerry Hagstrom reports for DTN/The Progressive Farmer. "Perdue's written testimony focused on the provisions for fiscal year 2018 and not on the White House proposal to make cuts to nearly every Agriculture Department and to cut more than 5,000 employees department-wide," Hagstrom reports. Perdue told lawmakers, "We do have a dilemma in this country of how we right-size the budget." However, he didn't disagree with many statements by subcommittee members in favor of USDA programs. Rep. Kevin Yoder (R-Kan.) asked Perdue about the proposed 36 percent cut in crop insurance. Perdue replied, "You won't get any disagreement with me on the value of crop insurance." The move away from direct payments in the 2014 Farm Bill was "good," Perdue said, while the budget "retools" crop insurance with means testing, Hagstrom writes. Crop insurance and other farm programs will be determined by the next Farm Bill, Perdue said. He noted that his job as agriculture secretary is to consult with members as they develop the bill. The harshest criticism came from Rep. Rosa DeLauro (D-Conn.), a former chair of the subcommittee, over the administration's proposal for states to pay 25 percent of the benefits under the Supplemental Nutrition Assistance Program, formerly known as food stamps. "I will be direct about my view of this budget document, and my hope is that this budget document is dead on arrival. Because I believe it cruel, I believe it heartless, and I believe it inhumane," DeLauro said. Perdue told DeLauro to "notice, the FY18 budget fully funds the SNAP as it has been. The legislative proposal going forward is obviously something you and all of your members of Congress will deal with and have your stamp upon that. I want to make the distinction." Rep. Andy Harris (R-Md.) defended the requirement that states pay 25 percent of the benefits. Harris said he was glad the administration is "restoring sanity to the program." When a reporter attempted to ask Perdue about cuts to farm programs after the meeting, Hagstrom reports that Perdue smiled and said, "I support the president's budget." "With financial pressures increasing for farmers, programs to help them – and rural America in general – should not be on the chopping block, Senate Agriculture Committee members said at a hearing Thursday, Steve Davies reports for Agri-Pulse, a Washington newsletter. For journalists covering low-income Americans and their communities, Carolyn Crist at the Grady College of Journalism at the University of Georgia curates poverty reporting sources in a weekly newsletter, "Covering Poverty: A Toolkit for Journalists." This week, the newsletter features seven recent developments, including an article in The New York Times that addresses how President Trump's proposed budget cuts would affect Medicaid and anti-poverty efforts. Another featured article is a Pew Research piece on the digital gap between rural and urban dwellers. Crist also included a Gallup Organization report that shows Americans still see manufacturing as crucial to job creation. To receive weekly reports, register for the newsletter on Crist's website. Some groups are training former coal miners and others people to write software code. 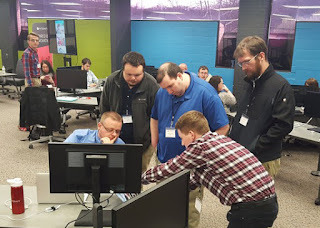 "Interapt, a Louisville technology company, created an intensive 32-week classroom and internship program in Paintsville that received federal and local funding, and pays $400 a week," the Journal reports. "The first class, which started with 50 people selected from 800 applicants, just completed the program, and Interapt has offered jobs to 22 of them so far, said Chief Operating Officer Eric Seto. Others have found work elsewhere." One Interapt developer is Alex Hughes, who ran an animation business in Prestonsburg until the coal swoon killed it. “This is a start of this new ecosystem that we’re trying to create here,” he told Campo-Flores. Hazard Community and Technical College has trained 180 laid-off miners to work as electric linemen, and the program has a 90 percent placement rate, President Jennifer Lindon said. "Anthony Bowling . . . is happy with the pay—$18 more an hour than he earned as a miner," Campo-Floes reports. In a more innovative program, the college "has teamed up with local county governments and other entities to create a local drone training and testing facility on a former strip mine. The area—secluded, with varied topography and devoid of air traffic—is well-suited to companies seeking to develop and test unmanned aerial vehicles, said Bart Massey, operations manager for the proposed $11 million project." Campo-Flores also notes AppHarvest, first reported on The Rural Blog March 9, which is raising money to build high-tech greenhouse on a reclaimed strip mine. A study released in March by the Brookings Institution found that 40 percent of rural students live at least 10 miles from another school, compared to only 5 percent of urban students. But in states that are large in size and small in population the gap grows, Matthew M. Chingos and Kristin Blagg report for Brookings. 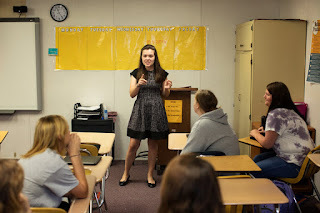 Brookings examined four types of school choices among elementary school students: Intradistrict (the ability to attend any public school in the district), interdistrict (the ability to attend any public school out of the district); charter schools (access to any charter elementary school in the state); and private school (access to any private school in the state). While 83 percent of families would have access to intradistrict schools, the number drops to 60 percent in rural areas, Brookings reports. 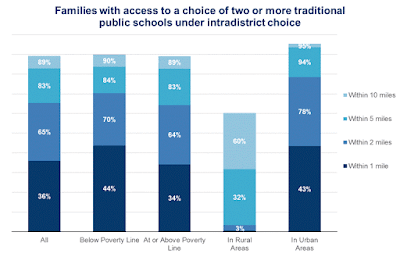 Overall, 54 percent of students have access to at least one out-of-district choice school within five miles. Rural students are more likely to have access to interdistrict choices within 10 miles—74 percent to 72 percent—but for the remaining 26 percent, distances would be much longer in rural areas. The biggest differences are charter and private schools, notes Brookings. While 68 percent of urban students have one charter school within 10 miles, only 17 percent of rural students do. 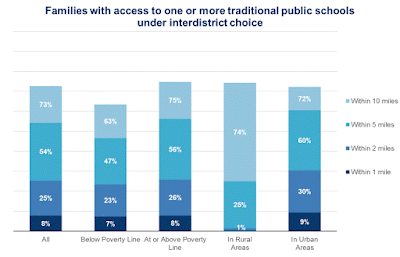 For private schools, 96 percent of urban students have one within 10 miles, compared to 69 percent of rural students. The proposed reorganization of the U.S. Department of Agriculture was set in motion by two documents, a section of the 2014 Farm Bill calling for an undersecretary for trade and foreign agricultural affairs and an executive order by President Trump that triggered "a 'broader on-going review of the department' and also included other departments of the executive branch," opine Harwood Schaffer and Daryll Ray of the Agricultural Policy Analysis Center at the University of Tennessee, in their latest edition of "Policy Pennings." Agriculture Secretary Sonny Perdue sent Congress a report this month that "makes the argument that 'Agricultural trade is critical for the vitality of the U.S. farm sector and economy as a whole…. However, the rise of new barriers to trade and preferential trade agreements that exclude the U.S. could jeopardize growth and negatively affect the U.S. farm economy," Schaffer and Ray write. The report "set forth actions that the USDA was taking to 'meet the challenge of advancing agricultural trade, improve 'service delivery to agricultural producers' and address 'the needs of Rural America,'" Schaffer and Ray write. "The action driving the design was the decision to move the Foreign Agricultural Service out from under the undersecretary for farm and foreign agricultural services . . . The FAS would be the only agency to report to the new undersecretary." USDA says it "must be positioned to effectively address trade barriers that impede or disadvantage U.S. agricultural exports and actively open new markets for U.S. farm products," Schaffer and Ray note. Perdue's report says "The change from the status quo would lead to many other possible factors that would be expected to increase exports. For example, the more focused trade mission area could support more trade missions, provide greater support for the Office of the U.S. Trade Representative." Schaffer and Ray write, "Whether or not the reorganization makes sense from an administrative perspective, we would caution farmers to adopt a wait-and-see attitude when it comes their expectations of the impact of the new structure. 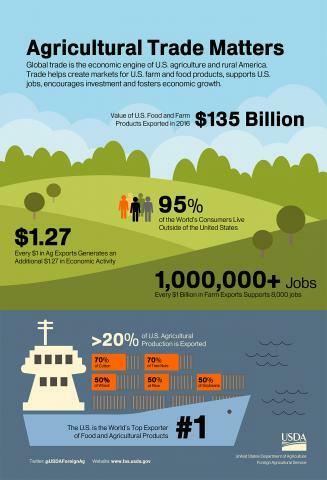 Over the last 35 years, we have seen numerous changes that were designed to make U.S. agricultural products more competitive in the international marketplace." 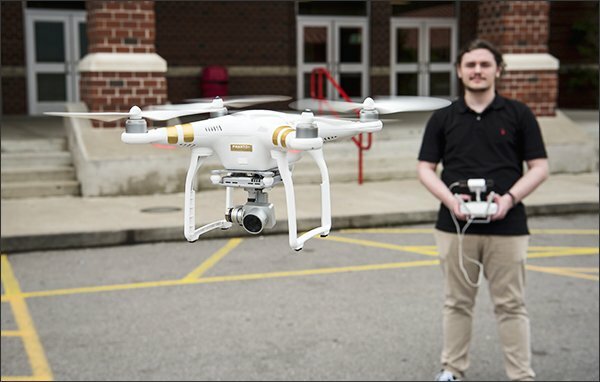 Can a $50 million drone port help revitalize Central Appalachian economy, retain young people? 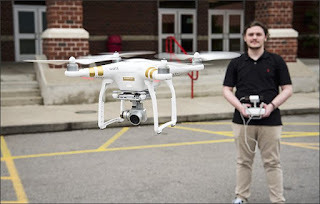 Eastern Kentucky officials hope a planned $50 million complex where companies would design, build, and test drones and train people to operate them can revitalize a region hurt by the loss of coal jobs and persuade young people to stay, Denisa R. Superville reports for Education Week. Backers of the plan "say the region's high schools would provide a strong pipeline of students to learn high-tech skills." "The project, known as USA Drone Port, is still in its conceptual phase and is expected to be built near Hazard, Ky," Superville writes. "It would include a 3,500-foot runway for drones and other small autonomous aircrafts, as well as an indoor-testing facility for year-round work. There would be space for engineers to build, test and perfect their inventions. Classroom space would be available for K-12 and college students to learn drone design and manufacturing, and have job-shadowing and mentoring opportunities. The facility would have aquatic ponds to test small underwater vehicles—the kinds that might be used in search and rescue missions." In January the region had an unemployment rate of 12.8 percent, twice the national average, Superville notes. But officials believe the facility could "create jobs in the burgeoning high-tech field and entice the region's brightest students back home after college with the promise of good jobs." 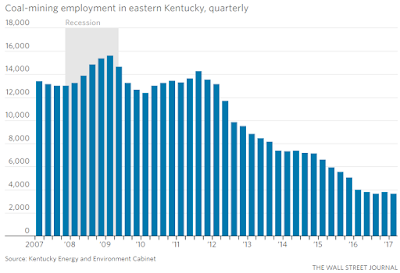 Jeff Hawkins is the executive director of the Kentucky Valley Educational Cooperative, or KVEC—"a collective of 21 rural districts with 50,000 students that covers an area roughly the size of Connecticut." Hawkins told Superville, "We know [drone technology] is a growing area of employment opportunities, and the uses are only now being discovered. It's also a way for us to engage student-learners in a pathway that's focused on drone design, testing and use, that exposes them to high levels of mathematics, engineering and physics, etcetera." Hawkins said Eastern Kentucky is a perfect location for the facility, Superville writes. He said "while districts in the region have large numbers of students living in poverty—81 percent qualify for free- or reduced-price meals—they post average four-year graduation rates that are higher than the state's average." The graduation rate in the KVEC area in 2016 was 94.9 percent, above the state average of 88.6 percent. Paul Green, director of KVEC's Appalachian Technology Institute, said "KVEC districts have also been building a stronger foundation for high-tech education, deploying more than $30 million in federal grants to expand courses in computer programming, computer science, coding, aeronautics and aviation," Superville writes. He said, "prior to the recent expansion, only two of KVEC's 29 high schools offered computer science classes with coding, and only two had offerings related to aerospace engineering and aviation." A candidate running in today's special election for the U.S. House in Montana was charged with assault for body-slamming a reporter on Wednesday night, reports the Bozeman Daily Chronicle. Greg Gianforte, a Republican who has been favored to win the election, was charged with a misdemeanor for the alleged assault on Ben Jacobs of The Guardian. Two of the state's largest newspapers, the Billings Gazette and The Missoulian, withdrew their endorsements for Gianforte. The impact on the election is uncertain; most ballots have already been cast in advance. Alicia Acuna of Fox News, who witnessed the incident, reported: “Gianforte grabbed Jacobs by the neck with both hands and slammed him into the ground behind him . . . I watched in disbelief as Gianforte then began punching the man, as he moved on top the reporter and began yelling something to the effect of ‘I’m sick and tired of this!’"
Acuna wrote, "To be clear, at no point did any of us who witnessed this assault see Jacobs show any form of physical aggression toward Gianforte, who left the area after giving statements to local sheriff's deputies." Democrats fear the incident will not only have little effect on the election, but might actually help Gianforte, David Weigel reports for The Washington Post. "Last month, a voter at a Gianforte town hall pointed out a reporter in the room; then, according to the Missoulian, the voter called the media 'the enemy' and mimed the act of wringing a neck." Gianforte commented, “It seems like there are more of us than there is of him." The Association of Health Care Journalists is hosting a free workshop on covering rural health on June 9 in Cincinnati. The keynote speaker will be Julie Willems Van Dijk, director of County Health Rankings and Roadmaps, an annual measure of vital health factors revealing a snapshot of how health is influenced by where people live, learn, work and play. The registration deadline is Friday. Five workshops will cover a variety of areas, including "Finding rural health stories: What reporters need to know," featuring Trudy Lieberman, contributing editor of Columbia Journalism Review and Laura Ungar, investigative and enterprise reporter for The Courier-Journal and USA Today. The workshop will moderated by Al Cross, director of the Institute for Rural Journalism and Community Issues, publisher of The Rural Blog. Another workshop, "Challenges of keeping a rural health workforce," will include Timothy L. Putnam, president and chief executive officer of Margaret Mary Health and Brent Wright, associate dean for rural health innovation at the University of Louisville School of Medicine. This workshop will be moderated by Melissa Patrick, a journalist for Kentucky Health News, which is published by the Institute for Rural Journalism and Community Issues. Other workshops include: "How the battle over health reform is impacting rural residents;" "The geographic divide: Reporting on disparities;" and "Covering the opioid epidemic beyond cities." To register for the event click here. The Trump administration's proposed budget was slammed by leaders from states with large rural populations, who called agriculture cuts "a slap in the face" to rural voters who put Trump in the White House, reports Linsday Wise for McClatchy Newspapers and Brian Lowry for The Kansas City Star. Two of farmers’ most powerful Republican advocates, Sens. Pat Roberts and Jerry Moran, both of Kansas, where Trump won by 20 percentage points, say the budget's plan to slash crop insurance and other programs critical to rural areas "would badly wound one of the president’s most loyal constituencies," Wise and Lowry report. The budget cuts crop insurance by $28.5 billion—36 percent—over 10 years. That’s significantly more than former President Barack Obama ever proposed. Like Hillary Clinton in 2016, Obama was beaten badly in Kansas in 2008 and 2012. The Kansas senators, as well as others from predominantly rural states—where Trump won by a 61-34 count—"were taken aback by the degree of devastation to crop insurance in Trump’s budget, especially when farmers already are struggling with low crop prices," Wise and Lowry writes. "Farm bureaus and commodity groups blasted the move as 'unwarranted,' 'unwise' and 'devastating' to the farming economy." Donn Teske, president of the Kansas Farmers Union and vice president of the National Farmers Union, "said the proposed cuts felt like a betrayal to farmers," telling reporters, “We’re in the middle of a farm crisis with no end in sight and they look at what the president’s proposing and they don’t see any help. They see a slap in the face." Wise and Lowry write, "Chances are the cuts won’t ever become law. Republicans, who control 52 of the Senate’s 100 seats, are expected to write their own budget plan. With Roberts and Moran instrumental in writing that legislation, it’s doubtful Trump will get his way." Steve Malecki uses a 'sensory wall'. 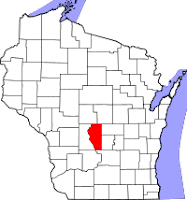 Rural children with autism spectrum disorder (ASD), especially those in remote areas, face greater obstacles in receiving care, Ed Legge reports for Wisconsin Dells Events. Vivian Hazel, a licensed professional counselor in the field of autism treatment and a charter member of the Wisconsin Governor’s Council on Autism, told Legge, "If a child in a rural area is on the autism spectrum, and there is no other child within a 60-mile radius, it is very costly to serve that single child." The Centers for Disease Control and Prevention says that one in 68 children have autism, Legge writes. In rural areas with small populations that could mean there are few children in a region with autism. 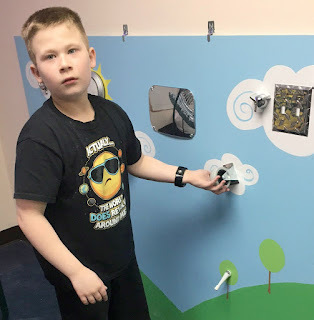 Kelly Malecki, whose 9-year-old son Stevie was diagnosed as being on the autism spectrum when he was 4, lives in Adams County, which has a population of 20,215 spread out over 689 square miles. 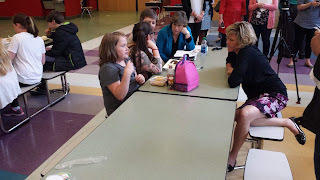 She told Legge, “There’s a lot in a rural area we don’t have or don’t have access to. Any diagnostics are an hour and a half to two hours away.” Malecki said two insurance companies suggested she move to an urban location. Rural Wisconsin parents of autistic children have made up for a lack of local resources by creating their own, Legge writes. In Adams County, Malecki helped created a local sensory room to help children with ASD as well as their parents. In neighboring Juneau County, Julie Bolton, who has two teenage children "on the autism spectrum, founded a local autism support organization called H.A.N.D.S. (Hunter and Nick Delivering Support for Autism) with the aim of creating social opportunities in the area for affected families with autism and to create awareness in the community." "Despite recent gains in digital technology adoption, rural adults remain less likely than urban and suburban adults to have and use these technologies," Perrin writes. "For example, rural Americans are 7 to 12 percentage points less likely than those in urban and suburban areas to say they have a smartphone, traditional computer or tablet computer." Rural adults also are less likely to have multiple devices that enable them to go online, Perrin writes. Researchers found that 29 percent of rural adults "report that they own a desktop or laptop computer, a smartphone, a home broadband connection and a tablet computer," compared to 40 percent of urban adults and 42 percent of suburban adults who own all four devices. "Rural residents also go online less frequently than their urban and suburban counterparts," Perrin notes. 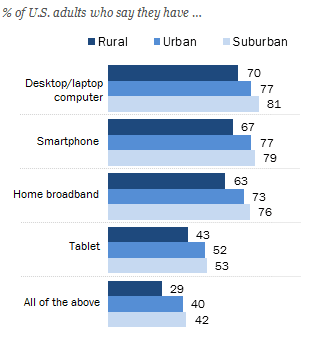 A total of 58 percent of rural respondents say they use the internet on at least a daily basis, compared with 80 percent in urban areas and 76 percent in suburban areas. Also, 19 percent of rural adults say they never go online, compared with 11 percent in urban communities and 10 percent in the suburbs. Perhaps taking a cue from President Trump's approach to the media, other politicians have followed suit with attacks on stories that don't show them in a favorable light. One such politician is Kentucky Gov. Matt Bevin, a Republican elected in 2015 who had never held a political office. 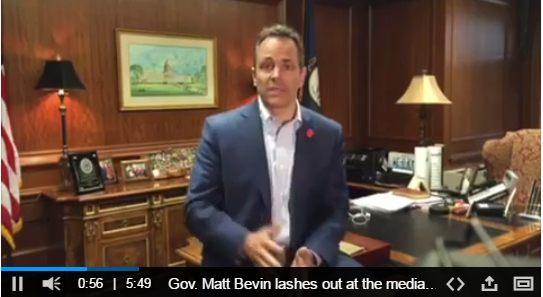 Bevin has been ramping up his attacks on journalists, on Tuesday on Facebook Live referring to some as bugs, saying, "They make a lot of noise. They're like cicadas," Morgan Watkins reports for The Courier-Journal of Louisville. "In recent months, the governor's office has largely ignored requests for comment from some of Kentucky's major news outlets, including The Courier-Journal, the Lexington Herald-Leader and [Louisville's] WAVE3 News, choosing to go on social media or do radio interviews with friendly hosts instead," Watkins writes. "Reporter Joe Sonka of Insider Louisville has even started a running tally of how many emails he and his colleagues have sent to Bevin's spokespersons without getting a response." Bevin "also has publicly criticized several individual reporters after they wrote stories he disliked. He didn't name names in his Facebook video on Tuesday, but he did single out The Courier-Journal and the Lexington Herald-Leader as newsrooms that 'don't actually seem to care about Kentucky'," Watkins writes. 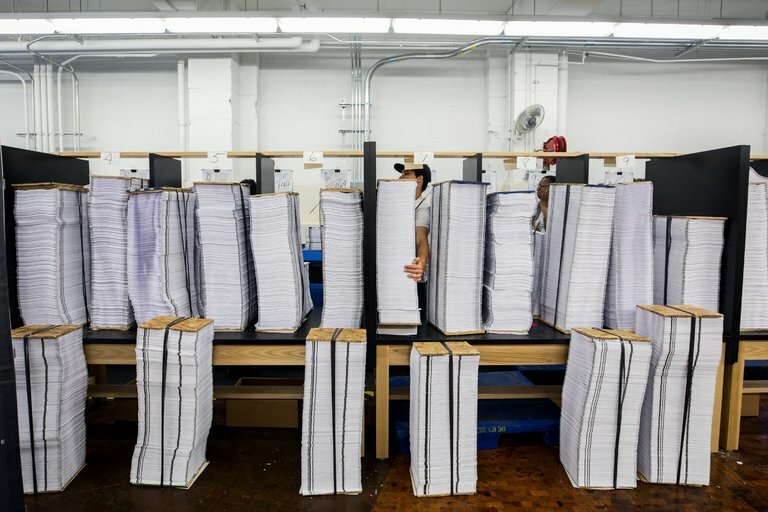 "The reporters whose requests aren't returned 'are not serious journalists,' Bevin said, adding that Courier-Journal subscribers are throwing their money away." C-J Executive Editor Joel Christopher told Watkins, "Anytime a politician tells you not to read the work of watchdog journalists, it should raise a red flag. It's like the circus magician telling you to watch his hands." Bevin "said voters are capable of making their own decisions about the information he and his administration provide without the filter of the media," saying of Facebook Live, "There is nothing more transparent than live video, me talking straight to you. There is plenty of access. You will always be able to hear directly from me." UPDATE, May 26: The Kentucky Press Association's weekly online newsletter for members has divergent editorials on the topic. Immediate Past KPA President Loyd Ford of The Lake News in Calvert City likens Bevin to a dictator: "How can anyone among us believe the ideal replacement for a free press is social media? What office holder if they are in charge of reporting about themselves would ever release any negative information? We will not accept the idea that elected officials should be allowed to avoid questions from the media or more importantly their constituents. This is how dictators operate." Jeff Jobe, a Bevin appointee to the Kentucky Educational Television board, wrote an editorial that didn't address the governor's media strategy directly, but accused unnamed news outlets or journalists of bias: "We want to make sure a sitting governor doesn’t break any laws, but to pontificate on something where no laws have been broken time and time again, while giving minimal space for the next historically large corporate expansion because of long sought after policy on his watch, is nothing more than biases, and these guys are trying to create their own political tsunami." While drone delivery of retail products is still years away in the U.S., an online retailer in China has found success using drones in rural areas, Jim Harger reports for MLive. Harger, who was part of a group of U.S. journalists who visited China through an exchange program, saw firsthand how China has been using drone delivery in rural areas. "At JD.com, Chinese consumers can buy home appliances, clothing, books and furniture just like Americans can at Amazon.com or other online retailers," Harger writes. 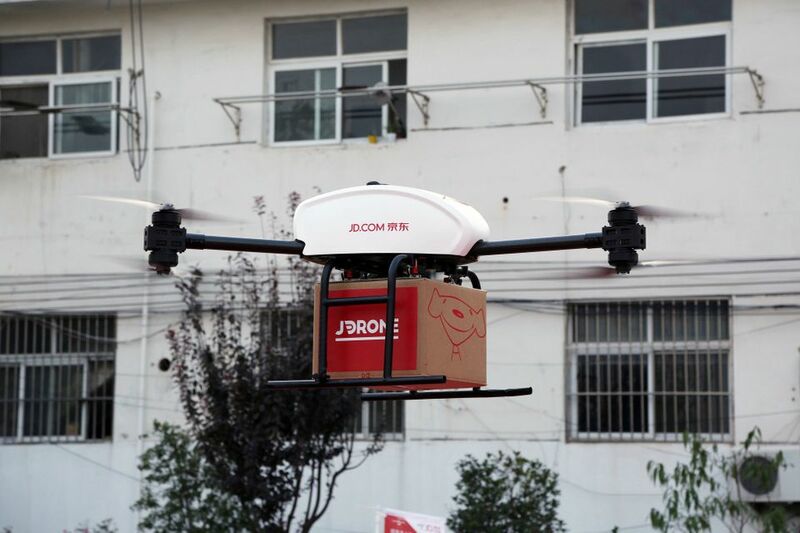 "Unlike Amazon, JD.com can deliver your order via drone in China — something Amazon only dreams of doing in the U.S. JD.com has begun using drones to deliver packages to customers in four rural provinces." "It's a way to get around China's shabby rural infrastructure," Harger writes. "By deploying drones from their warehouses to landing and pickup sites in rural villages, JD can cut down on delivery times and equipment costs." JD.com vice president Gloria Li told reporters, "Rural consumers have limited choices, prices are higher. We think it's a good way to improve their lives." Harger writes, "During a 10-day reporting trip, we visited JD.com's gleaming new headquarters outside of Beijing, where some 14,000 employees work — most of them millennials in their late 20s. Founded in 1998 by a 24-year-old entrepreneur Qiangdong Liu, JD.com now sells $95 billion worth of goods each year, second only to government-owned Alibaba, which sells $450 billion worth of goods online each year." JD.com's annual net sales total $1.36 billion, and "operates seven fulfillment centers and 256 warehouses with 6,906 delivery stations and pickup stations in 2,655 counties and districts across China," Harger notes. "Unlike online retailers, JD uses its own fleet of red trucks deliver its goods. The company developed five models of drones and uses them to deliver between five and eight packages. The company hopes to have 100 delivery routes by the end of 2017." 2018 budget to be bound last week in Washington. Photo by Jim Lo Scalzo, European Pressphoto Agency. President Trump's budget proposal, which will be released today and will cut Medicaid by more than $800 billion over 10 years, will largely hurt the rural working-class voters who propelled him into the White House, Andrew Restuccia, Matthew Nussbaum and Sarah Ferris report for Politico. While Trump promised to help American workers, his "spending blueprint follows established conservative orthodoxy, cutting taxes on the wealthy, boosting defense spending and taking a hatchet to programs for the poor and disabled." Key Republicans already have expressed doubt that the budget will pass, Jordain Carney reports for The Hill. Sen. John Cornyn (R-Texas), in response to being asked if he thought Medicaid cuts were too steep, told reporters, "I just think its a prerogative of Congress to make those decisions in consultation with the president. ... 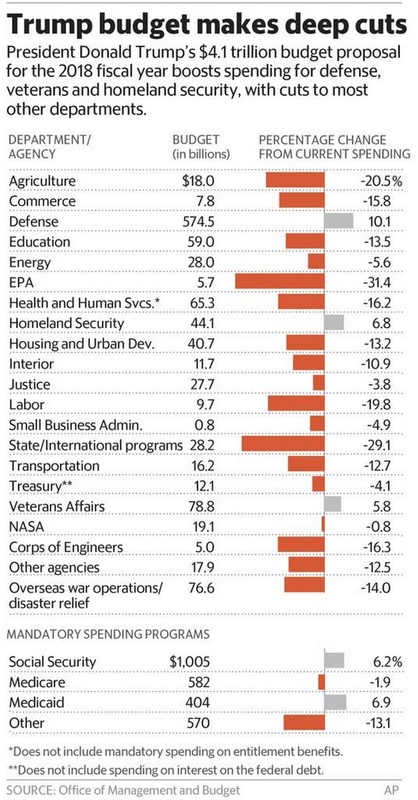 Almost every budget I know of is basically dead on arrival, including President Obama's." About Trump's budget, Cornyn said, "I think it may find a similar fate, but obviously it's an expression of his priorities which is important in terms of the conversation between the branches." Rep. Hal Rogers, a Republican who represents Eastern Kentucky, told Politico, "I’m deeply concerned about the severity of the domestic cuts.” The Hill notes that Senate Majority Leader Mitch McConnell (R-Ky.) "told reporters earlier this year that a cut to the State Department's funding by roughly one-third would 'probably not' pass the upper chamber." President Trump's proposed budget would hurt agriculture, making "more than $38 billion in cuts to farm programs, crop insurance and conservation over 10 years," Chris Clayton reports for DTN The Progressive Farmer. "The plan proposes tighter caps and means testing for crop insurance subsidies and eligibility for commodity programs. It also would eliminate the Harvest Price option for crop insurance." Concerning crop insurance, the budget "proposes limiting the premium subsidy to $40,000, which would generate $16.2 billion in savings over 10 years," Clayton writes. "Such a cap in premium subsidies was pushed in the Senate during the last farm bill but was defeated. The White House scores out another $11.9 billion in savings over 10 years by eliminating the Harvest Price option on crop insurance. Roughly 76 percent of all crop insurance plans last year had that Harvest Price option, accounting for the bulk of covered crop acres and premiums in the crop-insurance program, according to U.S. Department of Agriculture data." "Crop insurance cuts may be hard for Congress to swallow," Clayton writes. "In 2015, lawmakers reversed $3 billion in cuts to crop insurance over 10 years almost immediately after they were enacted after the Obama administration cut a budget agreement with Congressional leaders. The Trump administration's proposals call for significantly more cuts to crop insurance than proposed by the Obama White House. Obama had pushed for $16 billion in cuts to crop insurance over 10 years by lowering the premium subsidy for the Harvest Price Option and reducing payments for prevented planting claims. Those proposals never got anywhere in Congress." "The Trump administration also wants to eliminate both direct commodity payments and crop-insurance eligibility for farmers with more than $500,000 in adjusted gross income," Clayton writes. "Combined, the two proposals would generate just over $1 billion in savings over 10 years. Under the 2014 farm bill, farmers are eligible for commodity payments as long as their adjusted gross income averages under $900,000 a year over a three-year period. There is no income means testing for crop insurance. The plan also would 'streamline' conservation, leading to $5.75 billion in cuts to conservation programs over 10 years." In some economically distressed areas, especially rural Appalachian communities, food insecurity is on the rise, while food donations have steadily declined, Pam Fessler reports for NPR. 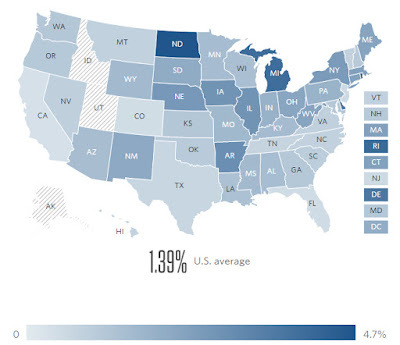 Data show that one in eight Americans—42 million people—still struggles to get enough to eat. 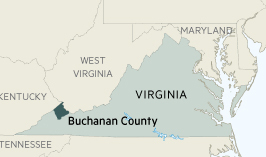 In some areas, like Buchanan County in the Appalachian Mountains in Southwest Virginia, numbers are much higher, with the poverty rate at 29 percent, twice the national average, Fessler writes. Feeding America—a network of food banks across the country—says that in Buchanan County about 16 percent of residents have trouble getting enough to eat. Feeding America, which once had 13 mobile pantries in Southwest Virginia, now has nine. Pamela Irvine, president and CEO of Feeding America Southwest Virginia, said there are several reasons for the decline in donations, Fessler reports. She said "food manufacturers are much better these days at controlling inventory, so they have less surplus food to give to food banks like hers. She also gets fewer rejects, like dented or mislabeled cans." Another reason is that coal companies, many of which have gone out of business, used to be some of the food bank's biggest donors, Fessler writes. Irvine also cites donor fatigue, with people starting to get tired of being asked for more money now that the recession is over. Feeding America says donations nationally also are on the decline. Trump supporters in rural areas where pipelines are proposed say they are being bullied by oil and natural gas companies to force them off their property, Stuart Leavenworth reports for McClatchy Newspapers. Homeowners like Norm MacQueen, a West Chester, Pa. resident who voted for Trump, are in the midst of eminent domain battles in which they say "agents pressure them to sign easement agreements and then threaten court action if they don’t agree to the offered terms." "The White House is squarely on the side of pipelines," Leavenworth notes. "For the last three months, Trump’s aides have been reviewing proposals to help expedite various infrastructure projects nationwide. Unions and industry groups have provided the White House with their favored proposals, which include pipeline projects in Pennsylvania, Virginia, North Carolina and other states, according to documents obtained by McClatchy." "Tens of thousands of landowners could soon find themselves in the paths of new pipelines," Leavenworth writes. 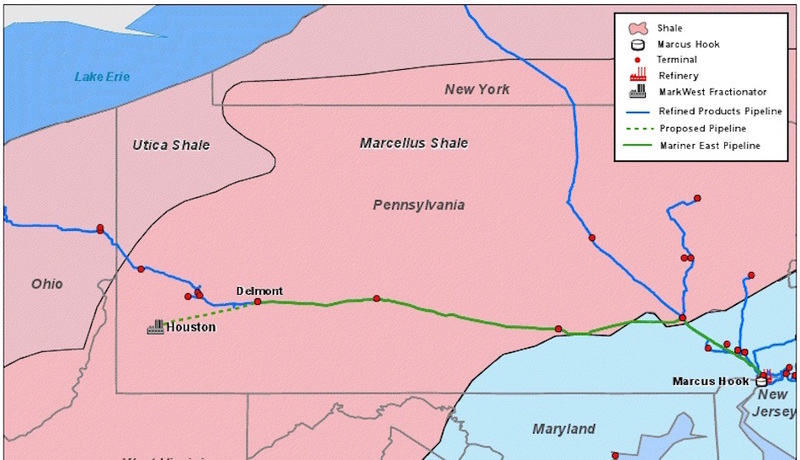 "As of 2016, more than 34,000 miles of new oil and gas pipelines were in the planning stages, according to Pipeline and Gas Journal, an industry trade publication. 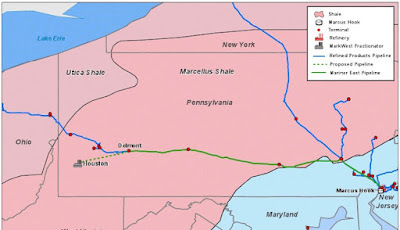 Many are being spurred by the rich deposits of gas in the Marcellus shale region of West Virginia, Pennsylvania and Ohio." "Lawmakers in some states are pushing back," Leavenworth reports. "Georgia and South Carolina recently passed laws banning private companies from using eminent domain for oil pipelines. Eminent domain has become an issue in the Virginia governor’s race, where the five leading candidates are split over the $5 billion Atlantic Coast Pipeline, a joint venture of Dominion Resources and Duke Energy that would ship natural gas from West Virginia to North Carolina. Two of the candidates—one Democrat and one Republican—have come out against the use of eminent domain for the project." Proposed cuts would hurt rural areas in states like West Virginia, where Trump easily defeated Hillary Clinton. The budget would reportedly cut federal funding for a national afterschool program that provides kids—like those at Southside K-8 where Weingarten was visiting—with food, education and transportation home afterward, Quinn writes. "The plans would simultaneously put more federal funding toward charter schools and for vouchers students could use to attend private schools, including religious schools." The budget consists of "a $10.6 billion cut from federal education initiatives, with about $1.4 billion of the savings going to 'school choice' initiatives," Quinn writes. In many rural areas students only have one school to choose from. Cheryl Cruey, a teacher in Southside’s afterschool program, said she didn’t know of any nonpublic schools in McDowell County. 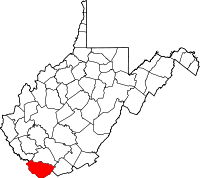 "Inga Barker, an assistant schools superintendent in McDowell County, said the local public school system has been losing about 100 students annually for at least five to six years," Quinn reports. "She said the drop has been about 120 students this year, and such enrollment drops generally mean automatic cuts in education funding from the state. In West Virginia, state education officials say there’s very little regulation over private schools. 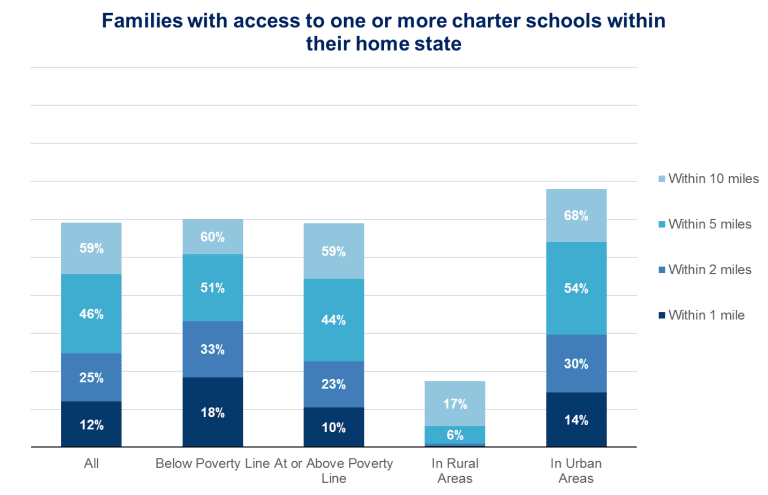 And research has been thin on charter schools’ performance specifically in rural areas, which represent much of West Virginia." "Trump is expected to propose eliminating the $1.2 billion in funding for the 21st Century Community Learning Centers program, which serves about 1.6 million students nationwide," Quinn writes. AFT said 21st Century grants provided funds for afterschool programs at five schools in McDowell County. Quinn notes, "At Southside, the funding supports two to two-and-a-half hours of afterschool programming four days per week" that served 195 students this school year. Trump administration changes to the visa program have made it difficult for rural areas with doctor shortages to hire foreign-born physicians, Michael Ollove reports for Stateline. In March Trump suspended "the 15-day expedited process to obtain an H-1B visa that allows U.S. employers to temporarily employ foreign-born workers in specialty fields such as medicine and information technology," leaving many doctors in limbo as they await visas that might not come and has left many rural areas without a much-needed doctor. An April study in the Journal of the American Medical Association found that federal officials granted permission for nearly 10,500 physician jobs to be filled by foreign-born doctors with H-1B visas in 2016, Ollove notes. "Because of limitations in federal data, the study counted the number of approved jobs rather than the number of physicians with H-1B status. An employer has to first win approval to hire a foreigner and then the foreigner has to apply for the visa." For the first time in five years, the number of applicants this year for H-1B visas dropped below 200,000, Ollove writes. "Immigration experts say it’s too soon to attribute that drop to Trump’s policies or anti-immigrant and refugee rhetoric in the U.S."
"Trump has made it clear he wants to restrict immigration, and his administration has promised greater scrutiny of the H-1B program," Ollove writes. "Immigration advocates worry that Trump’s review of the H-1B program might lead to fewer visas, but they also acknowledge that the president has highlighted problems that need fixing. In 2015, about 113,600 H-1B visas were issued. More than half, 85,000, were chosen by lottery. Medical residents, as well as doctors who work at nonprofit research institutions, universities and government research facilities, are not subject to the lottery and there is no cap on how many of them can receive visas in a year." 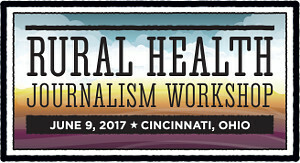 The Association of Health Care Journalists is hosting a free workshop on covering rural health on June 9 in Cincinnati. The keynote speaker will be Julie Willems Van Dijk, director of County Health Rankings and Roadmaps, an annual measure of vital health factors revealing a snapshot of how health is influenced by where people live, learn, work and play. The registration deadline is Friday, May 26. President Trump's detailed budget, to be released Tuesday, "would follow through on a bill passed by House Republicans" to cut Medicaid by more than $800 billion over 10 years," Damian Paletta reports for The Washington Post. 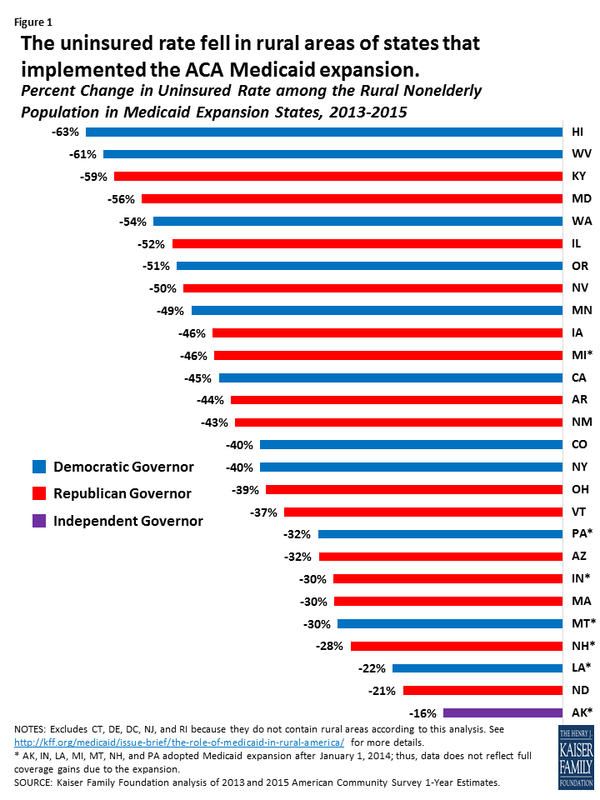 "The Congressional Budget Office has estimated that this could cut off Medicaid benefits for about 10 million people over the next decade." The CBO said in March that the initial version of the Republican health bill could cost 24 million people insurance. The impact would be greater in rural areas. To see a Democratic-compiled rundown of how CBO thinks the bill would affect each of the 435 congressional districts, click here. A CBO scoring of the slightly revised bill is due Wednesday. "Trump’s decision to include the Medicaid cuts is significant because it shows he is rejecting calls from a number of Senate Republicans not to reverse the expansion of Medicaid that President Barack Obama achieved as part of the Affordable Care Act," Paletta writes. "The House has voted to cut the Medicaid funding, but Senate Republicans have signaled they are likely to start from scratch." "The White House also is expected to propose changes to the Supplemental Nutrition Assistance Program, though precise details couldn’t be learned," Paletta reports. "An average of 44 million people received SNAP benefits in 2016, down from a peak of 47 million in 2013. Just 28 million people received the benefits in 2008." Many impoverished rural residents rely on SNAP, formerly known as food stamps. Lawmakers and commodity groups have asked the Trump administration "to do no harm to current areas and industries where trade and the economic impacts are positive" when it begins renegotiating the North American Free Trade Agreement, Chris Clayton reports for DTN The Progressive Farmer. "In mid-July, the White House will release that summary of specifics for a new NAFTA. It is possible negotiations between the three countries could start as early as Aug. 16." Agriculture Secretary Sonny Perdue, who last month was able to talk President Trump into renegotiating NAFTA rather than withdrawing from it, is a big supporter of trade. He went against Trump's anti-trade sentiments last week by publishing "Trade: An Economic Engine for Agriculture and Rural America." Jason Hafemeister, acting deputy undersecretary for farm and foreign agricultural services, posted on USDA's website: "When American farmers are financially healthy, they not only support themselves and their families, but also their employees, local equipment dealers, farm service suppliers and the rural communities where they live and do business. In 2015, U.S. farms produced more than $425 billion in gross output and purchased more than $225 billion in inputs. That has a big impact on rural America and also the national economy. In 2015, 21 million full- and part-time jobs, or 11 percent of total U.S. employment, were related to the agricultural and food sectors." Roger Johnson, president of National Farmers Union, said renegotiating NAFTA is an opportunity "to reset that agenda by instituting a new, fair trade framework that works for family farmers, ranchers, and rural residents," Clayton writes. He said the agency urges the Trump administration to renegotiate NAFTA "in a fashion that does not upset the positive trade relations the U.S. agriculture community relies upon." The National Milk Producers Federation, the Dairy Export Council (headed by former Secretary Tom Vilsack) and Dairy Foods Association "stressed the importance of renegotiating NAFTA to deal with problems the industry is facing with slowing exports to Canada because of a change in Canadian milk-pricing policies," Clayton writes. "The groups noted U.S. dairy products can face 200 percent to 300 percent tariffs and policies that distort dairy." Zippy Duvall, president of the American Farm Bureau Federation, said the group will "remain committed to the goal of a positive, market-expanding and modernized NAFTA," Clayton writes. Others, such as the National Pork Producers Council, U.S. Wheat Associates, National Association of Wheat Growers, National Corn Growers Association, U.S. Grains Council, and USA Rice have all expressed the importance of protecting trade agreements. The Trump administration's environmental rollbacks, and the placement of Scott Pruitt as Environmental Protection Agency administrator, are affecting how the oil and gas industry responds to regulations and citations of violations, Hiroko Tabuchi and Eric Lipton report for The New York Times. Devon Energy, which runs a windswept site in Fremont County, Wyoming, "had been prepared to install a sophisticated system to detect and reduce leaks of dangerous gases," the Times reports. "It had also discussed paying a six-figure penalty to settle claims by the Obama administration that it was illegally emitting 80 tons each year of hazardous chemicals, like benzene, a known carcinogen." After the swearing-in of Pruitt, who has close ties to Devon, the company said in a letter that it "it was 're-evaluating its settlement posture,'" the Times writes. "It no longer intended to move ahead with the extensive emissions-control system, second-guessing the EPA’s estimates on the size of the violation, and it was now willing to pay closer to $25,000 to end the three-year-old federal investigation." "Devon’s pushback, coming amid an effort to ease a broad array of federal environmental rules, is the first known example under the Trump administration of an accused polluter—which has admitted violating the law—backing away from a proposed environmental settlement," the Times reports. "It is already being hailed by other independent energy companies as a template for the future. . . . The extraordinary about-face reflects the onset of an experiment in President Trump’s Washington that is meant to fundamentally reorder the relationship between government and business. Across the federal government, lobbyists and lawyers who once battled regulations on behalf of business are now helping run the agencies they clashed with." "Trump and his team believe that loosening the regulatory grip on business will help the economy, create jobs and allow Americans 'to share in the riches,' as he said during the campaign," the Times reports. "But in the energy field, environmentalists, Democrats and even some in the industry fear the efforts will backfire, harming health and safety without creating much economic benefit." Research shows that the most gifted low-income rural students lack the resources to find a college that's a good fit for them, and they end up attending one less rigorous than they can handle, Anemona Hartocollis reports for The New York Times. Nonprofit College Advising Corps is trying to change that by placing recent college graduates in public high schools for two-year stints as full-time college advisers, where they can share their own experiences with students. Supporters say the organization helps high-achieving students reach their potential, Hartocollis writes. Critics "say that these efforts are too focused on transforming the lives of the most brilliant tier of low-income students" and ignore other students. "Others say that steering all the smart teenagers to a few elite colleges may be good for those particular students, but may worsen the social and economic stratification of American society—there will be no more small-town philosopher-car mechanics." College Advising Corps, founded in Virginia in 2005 with 14 advisers, now has about 600 advisers nationally, including 182 in rural schools, Hartocollis writes. Its budget of $34 million was raised through private philanthropy, state and federal funds. It partners with 24 colleges and universities to recruit and train advisers, who are paid a salary and receive partial loan forgiveness for working as advisers. Most are from low-income backgrounds. Adviser Emily Hadley, a 2015 Duke University graduate, "said it was hard to make students see the value of a college degree when their parents relied on odd jobs, food stamps or disability benefits and they could improve the situation immediately by making $500 a week as field workers," Hartocollis reports. She said "many students did not understand the basic mechanics of going to college. They thought that all they had to do was sign up the day before classes began." Scientists say the effect of climate change on the start of spring—which is occurring earlier in many areas and later in some—is increasingly putting birds out of sync with their environment and could lead to an end of spring birdsong, says a study published in Scientific Reports. Researchers were from six universities in the U.S. and Canada, The National Ecological Observatory Network and the Illinois Natural History Survey. “The rate at which birds are falling out of sync with their environment is almost certainly unsustainable,” ecologist Stephen J. Mayor of the University of Florida told Ben Guarino of The Washington Post. “We can end up with these increasingly quiet springs.” Mayor and his colleagues say some migratory songbirds "can't keep pace with the shifting start of spring," Guarino reports. The study, the first to survey songbirds across the entire North American continent, found that "for 48 songbird species, the mismatch between arrival date and the onset of spring grew by an average of half a day per year between 2001 and 2012," Guarino reports. Researchers "combined satellite and citizen science data to estimate rates of change in . . . spring green-up and migratory arrival for 48 breeding passerine species across North America" and found that "although birds adjusted their arrival dates, 9 of 48 species did not keep pace with rapidly changing green-up and across all species the interval between arrival and green-up increased by over half a day per year," Guarino writes. "Of the species studied, nine fared the worst, with a yawning gap between their arrival date and the spring shift: blue-winged warblers, eastern wood-pewees, great crested flycatchers, indigo buntings, northern parulas, rose-breasted grosbeaks, scarlet tanagers, Townsend's warblers and yellow-billed cuckoos. In the case of the cuckoos, for instance, spring greenery started growing 1.2 days earlier per year, although the birds arrived on average 0.2 days early. Put another way, the timing mismatch increased by an average of one day annually." "Using satellite imagery, the study authors tracked the start of green-up, the sudden burst of photosynthetic activity that begins in early spring in North America," Guarino writes. "As seen from the sky, green-up is an explosion of leaves. This brings out droves of hungry caterpillars and other plant-eating insects. These bugs are a crucial food supply for songbirds, which travel northward to eat and breed after spending the winter in South or Central America. This invertebrate buffet lasts for a limited time."